DONATE TO DIXIE & MAKE A DIFFERENCE! We appreciate your donation to Dixie Canyon Community Charter to help support the needs of our school. We thank you for "making a difference". 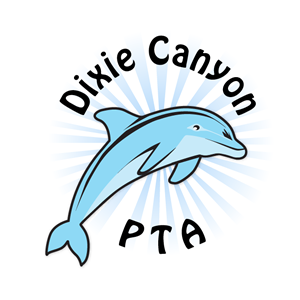 I have read and agree to the Terms and Conditions and give my consent to Dixie Canyon PTA to process my personal data. I understand I can revoke this consent at any time. NEW ITEMS ADDED DAILY SO CHECK BACK OFTEN!!! JUST CLICK "Donate an Item Now" ABOVE! DUE TO UNPRECEDENTED POPULARITY, WE ARE SOLD OUT! TEACHER TICKETS ARE STILL AVAILABLE. PLEASE CONSIDER DONATING A TICKET TO YOUR FAVORITE TEACHER OR STAFF MEMBER. 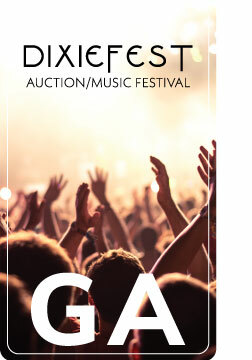 Please contact DixieGalaEvent@gmail.com to be wait-listed if tickets become available. Can't make it? Let us know. We can reassign your ticket. ARTIST & VIP credentials can be retrieved at Dixie Canyon during morning drop-off - Thursday, 4/11, Friday 4/12, Thursday 4/25, and Friday 4/26. Inspired by Coachella, celebrate with the greater Dixie Canyon community, April 27th at a lush, private luxury estate, nearby, in the canyons of the Santa Monica mountains. Wine, spirits, and signature drinks are included in your event package, and designed to pair with an an amazing culinary array, curated by Chef Daniel Otto. Indulge your senses with small bites: fresh from the ocean, cheeses, fruits, and so much more. Indulge in flavors, from the middle-east, to the mid-west, Western Europe to South-of-the-border. The flavors will rival your best epicurean experiences. Pop-up food sensations from Drago, and Grimaldi's, too. Music will be experienced throughout the venue, from your entrance at the gate, to the dance floor. Several acts are already booked. Collette Lush, Jukebox Atlanta, Oskar Cartaya, and maybe a surprise appearance. Auction items will include a villa in Costa Rica, and a home in Martha's Vineyard, a chef's dinner for 10 in your home. Floor seats at a Clippers game. Bid on your class baskets, and items from local stores, restaurants, salons that are supporting our school. What to wear? Bring your festival attitude...Music festival chic, no heels please. Inspiration? Google "Coachella fashion trends 2019". Encourage friends and family to join our Adult Only celebration, as all proceeds will benefit Dixie Canyon Community Charter. 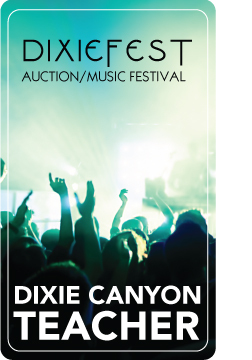 Your contributions to DixieFest are tax deductible. Please forward this informational letter to potential donors. LEVEL UP your DixieFest Experience! All levels include an amazing music, food, and beverage experience. ARTIST Escorted arrival and check-in. Pre-event, invite only reception with elevated F&B experience. Featured performance by Collette Lush, and Oskar Cartaya. Gift bag amenity. 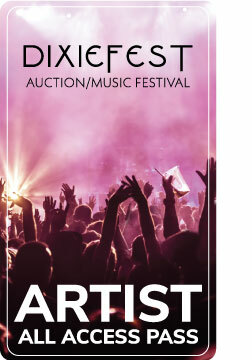 Recognition as an ARTIST supporter of DixieFest. Reserved lounge premium seating. $25 credit for use at the DixieFest merch store. Hosted F&B, including full bar. LYFT code for a ride to/from DixieFest ($15 credit each way). VIP Skip the lines with expedited VIP check-in. 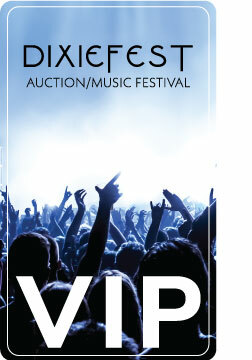 Recognition as a VIP supporter of DixieFest. Reserved high-top seating. $10 credit for use at the DixieFest merch store. Hosted F&B, including full bar. LYFT code for a ride to/from DixieFest ($15 credit each way). GA. Hosted F&B, including full bar. LYFT code for a ride to/from DixieFest ($15 credit each way). TEACHER This specially priced ticket is for Dixie Canyon teachers, staff, and their guests only. LYFT code for a ride to/from DixieFest ($15 credit each way). Fine print: Experiences and benefits subject to change. Limited tickets at all levels.